This was a comment to a recent blog. This is a good question because it is clear from Scripture that it is possible to pray wrongly. 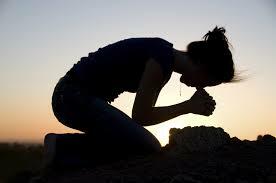 St. James writes “You ask and do not receive, because you ask wrongly, to spend it on your passions.” So how do we know when we pray that we are praying what God wants us to pray? The first thing we can do is to immerse ourselves in Holy Scripture and we do this for two reasons. Number one is because we find in the Scriptures the revealed will of God and so when we pray according to His revealed will, then we can be assured that we are praying correctly. We pray for our governing authorities because that is what the Scriptures tell us to do (1 Timothy 2:2). We pray for the salvation of others because we are told that God is not willing that any should perish but that all should come to repentance (2 Peter 3:9). So as we discover God’s revealed will, it guides our prayers in the proper direction. Number two we immerse ourselves in Scripture so that we become familiar with the ways of God. We may not find a chapter and verse that gives us specific instructions but as we learn His ways were are better equipped to tell if what we are praying is commensurate with His will. It’s about becoming familiar with His voice. A Christian doctor who has been formed by Holy Scripture would not need to waste time discerning about a lucrative offer to work for a clinic of questionable ethics. He would know from learning God’s ways that such work would not be pleasing to God. A second way to know if we are praying God’s will is to look to the Church. The Holy Spirit throughout the centuries has guided the Church into all truth and as a consequence there is a treasury within the Church that we should freely mine. As an Anglican I love the Book of Common Prayer. Some of the prayers in that book go back to the 4th century. Also I have been edified by prayers from the Roman and Orthodox traditions. Prayers that have stood the test of time, and been prayed by untold numbers of Christians over the centuries, can be trusted to reflect the will of God. I also use the prayers of men and women in the past, saints of God, who had a close walk with the Lord. Praying their prayers is like walking in the footsteps of giants. I find in them a depth of spirituality and Christlikeness that I hope to have one day but must admit that I have not yet attained. You can also look to the present Church for help in discernment on how to pray. Recently I was trying to discern how to pray for an unusually difficult matter and so I submitted my thoughts to the Bishop and asked for his guidance. We are not alone on this journey, or at least we should not be. Christ has placed us in His Body and given each of us differing gifts to help one another. Other Christians can help you learn how to pray correctly. A third way to know if you are praying according to God’s will is to examine your heart. In the same chapter where St. James speaks of asking wrongly he goes on to say “God opposes the proud but gives grace to the humble. Submit yourselves to God.” (James 4:6,7) When we pray, it should be in an attitude of submission, desiring God’s will above all things. The motive of our prayers, as in all things, is to bring glory to our Father. James said that we pray wrong when what we are praying for is to fulfill our passions. If we are demanding or self-willed or exhibit pride in our prayers then we can rest assured that we are going down the wrong path. Once I heard a Health and Wealth preacher tell his congregation to order God to act. That is very poor, if not blasphemous, advice. As we pray we must always keep in mind who is the clay and who is the Potter. Lastly the way to know whether or not we are praying according to God’s will is to keep praying. The only way to learn to pray is to pray. As just mentioned, as long as we are humble before God, we don’t need to fear negative consequences for praying amiss. Since we are not all-knowing we are going to make mistakes in our prayers. We are like toddlers learning to walk and our loving Heavenly Father is patient. As we keep praying we will discover a gratitude for times when God did not answer some of our prayers because it would not been for our best. A pattern you see in the Psalms, which is the Church’s most ancient prayer book, is that even when the Psalmist is hurt or angry or complaining, he invariably expresses his trust in the Lord. He casts himself upon God’s goodness. He often uses the word “hesed” which is God’s covenant love towards us. It is that quality of God’s character that we trust when we pray. We are not looking for the right formula, rather we are looking for the right relationship. We may want Him to stop the storms but He wants to become our hiding place. We won’t be far from the mark if we will consistently humble ourselves before Him, trust His love for us, and keep asking and seeking and knocking (Mt 7:7-12).